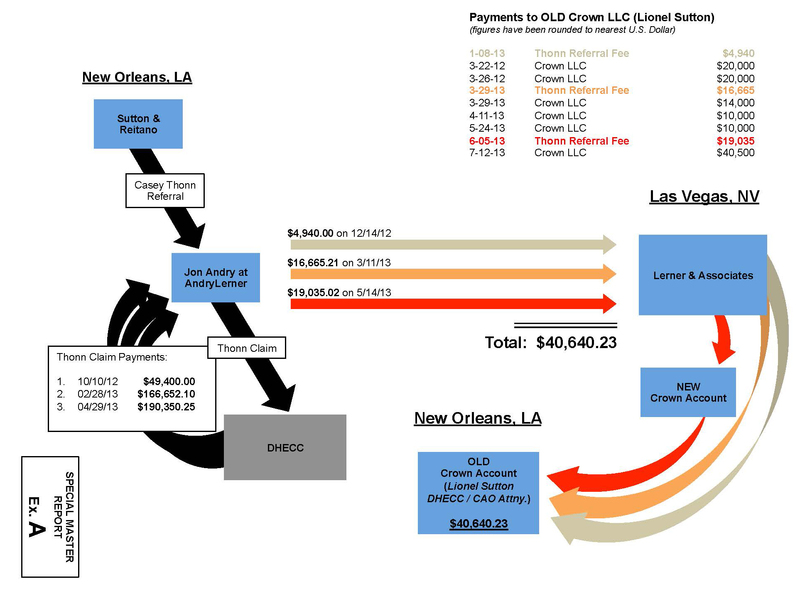 NEW ORLEANS – The results of a two-month long investigation into allegations of fraud within the 2010 oil spill settlement program has revealed an alleged kickback scheme involving a claims attorney. Lionel Sutton, a former senior attorney within the Court Supervised Settlement Program (CSSP), is accused of taking a $40,000 referral fee from the Andry Lerner Law Firm and attempting to more quickly resolve a claim worth $7,908,460 for that firm. The New Orleans firm, which bills itself as "BP Oil Spill Lawyers” on the their website, is accused of using Sutton’s position within the claims center to make the acceptance of the claim in question faster and easier. The investigation was headed by ex-FBI Director Louis B. Freeh who was asked to be a special investigator on the case by U.S. District Judge Carl Barbier in early July after claims administrator Patrick Juneau revealed an internal investigation into the CSSP showed potential conflicts of interest. The nearly $8 million claim in question was originally a case handled by Christine Reitano, Sutton’s wife, who shortly after receiving the case became an employee of the claims administration office. Subsequent to her appointment, Sutton is alleged to have referred the case to the Andry Lerner Law Firm for a referral fee to be paid to Crown LLC, a water reclamation company he owned and in which Andry Lerner partner Glen Lerner had invested $1 million. Freeh stated in the report that contracts for referral fees are required to have written agreements, however, the one between Sutton and Lerner did not and was the only such agreement Andry Lerner had in its over 600 BP Oil Spill claims cases without a written agreement. Freeh claims that shortly after negotiating the payment terms Sutton also went to work for the claims administration office and that while employed there he received, through a money laundering scheme, the referral payments to Crown LLC through Lerner’s Las Vegas-based law firm Glen Lerner & Associates rather New Orleans-based Andry Lerner. Freeh asserts that after being questioned about the payments, Sutton repeatedly denied that he had received them, but finally acknowledged the relationship five weeks into the investigation after being presented evidence within his own emails showing the payments were in fact referral fees and not related to the water reclamation efforts of Crown LLC. According to Freeh’s investigation, although there is alleged evidence that Sutton received referral fees there is no evidence that those fees had an effect on the outcome of the case. Juneau is not implicated as being part of the alleged scheme. Freeh recommended that the claim in question be disallowed and that Sutton, Reitano and Andry Lerner be disallowed from any future work within or representing clients involved in the claims process. In addition, Freeh is recommending that the U.S. Department of Justice investigate whether Sutton, Reitano, Lerner or Jon Andry, partner at Andry Lerner, violated any federal criminal statutes for their parts in the allegedly fraud and money laundering scheme.